Our products are centered around events and by extension, gifting. 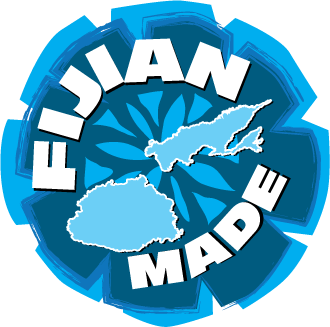 We all have family & friends living abroad and to bring them a taste of Fiji, if only but awhile, we have special gift packs that you can order and we will have it sent to their location. Alternatively, if you have loved ones in Fiji, you can gift them any of our products. We can courier them to your nominated address or it can be picked up from any of our shops (conditions apply). Give them a pleasant surprise as a birthday, wedding, engagement or a party. We have secured shipping routes to almost any country in the World including New Zealand, Australia, Canada, United States of America, United Kingdom & India through our logistics partner DHL for door to door deliveries. As is the case with goods crossing country borders, there are some quarantine requirements in some countries that we need to adhere to and inform you in advance such that you receive your goods in time. Our Sales Team will inform you of total cost including shipping cost. Once you confirm your order, we will e-mail you a credit authorization form with other minor verification requirements. You can easily track your shipment using DHL tracking number (for overseas courier only). For any clarifications please contact us and we will be happy to answer your questions or collect your feedback. We have special gift packs for every occasion. These are prepacked sweets & snacks that are ribbon wrapped, ready for that special someone. We also supply gifts made out in charity to registered charitable or non-profit organisations & these get a special 10% discount on value of goods purchased (excluding courier/ shipping cost) as part of our support towards the worthy effort. We however reserve the right to award these discounts based on the conditions mentioned. You can also donate to a school (especially if you are an ex-student), church, mosque, temple or NGO for their special event celebration or simply sharing your happiness (e.g. a festive celebration such as Eid, Diwali or graduation, birthday, marriage etc) for a joyous occasion. Equally, you can surprise them by showing your support.